Historical Setting. A Brief Introduction to Graph Theory. The Automorphism Group of a Graph. The Cayley Color Graph of a Group Presentation. An Introduction to Surface Topology. Imbedding Problems in Graph Theory. The Genus of a Group. Map-coloring Problems. Quotient Graphs and Quotient Manifolds (and Quotient Groups!). Voltage Graphs. Non-orientable Graph Imbeddings. Block Designs. Hypergraph Imbeddings. Map Automorphism Groups. Change Ringing. References. Bibliography. 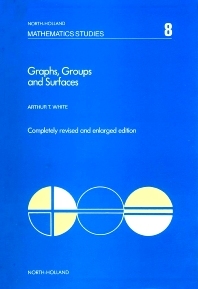 The field of topological graph theory has expanded greatly in the ten years since the first edition of this book appeared. The original nine chapters of this classic work have therefore been revised and updated. Six new chapters have been added, dealing with: voltage graphs, non-orientable imbeddings, block designs associated with graph imbeddings, hypergraph imbeddings, map automorphism groups and change ringing. Thirty-two new problems have been added to this new edition, so that there are now 181 in all; 22 of these have been designated as difficult'' and 9 asunsolved''. Three of the four unsolved problems from the first edition have been solved in the ten years between editions; they are now marked as difficult''.